There are innumerable advantages in registering a trademark. Trademark registration heightens the protection a name or slogan or mark receives and deters competitors from using the mark. 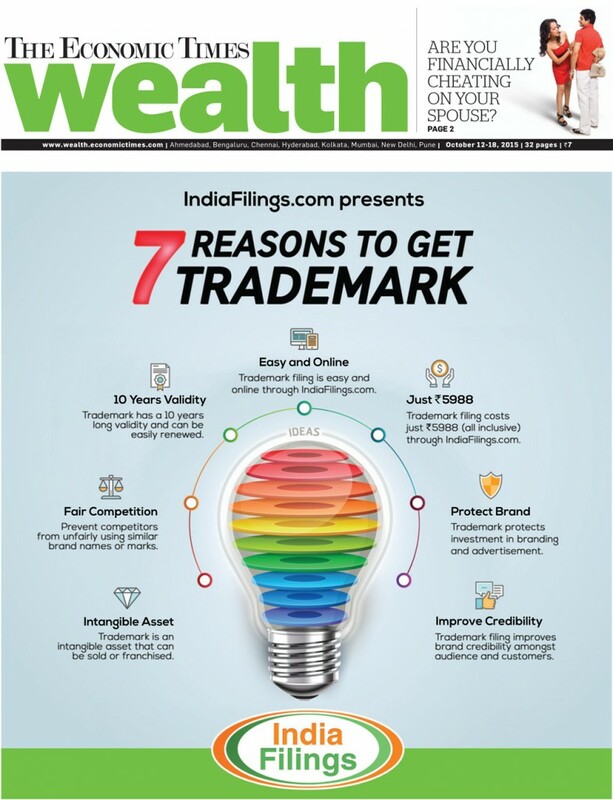 Trademark registration also ensures availability of legal remedies if someone should infringe upon the trademark. 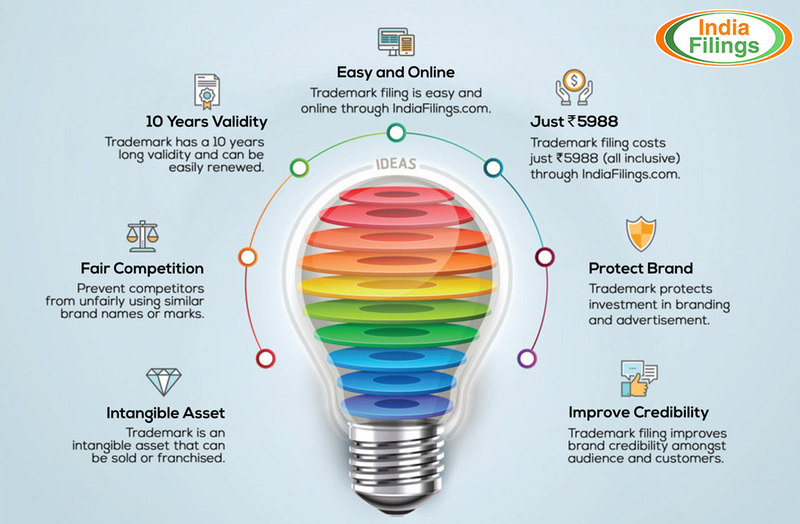 With the process for trademark registration becoming more simplified, it is important for Entrepreneurs and Business Owners to know about intellectual property laws and obtain trademark registration for their brands. 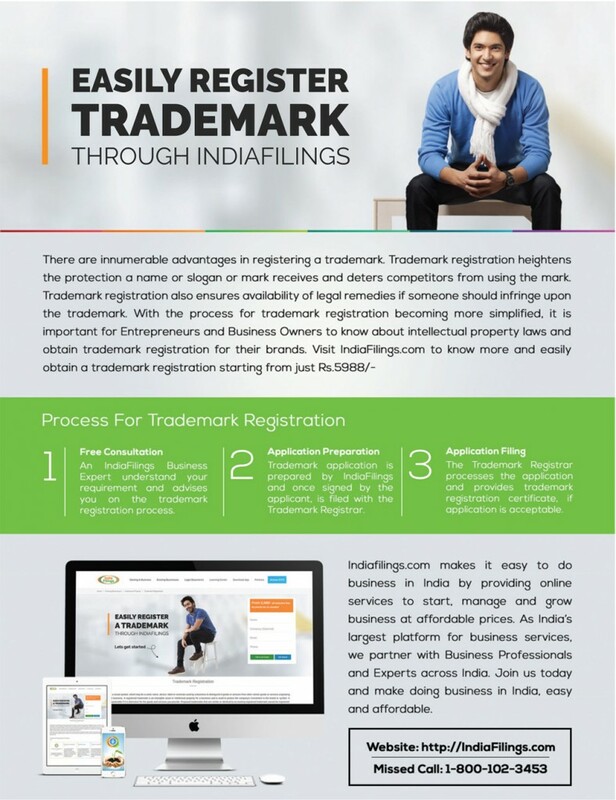 Visiit IndiaFilings.com to know more and easily obtain a trademark registration from just Rs.5988/-. I want to know about trademark registration for our Institute.Kindly call / email .